Seek out a couple of the quintessential Kiwi foods in New Zealand. Fresh, diverse and delicious, the way Kiwis love their food. Green-lipped mussels are easily distinguished from other mussels by the dark green shell with a bright green lip that it is named for. 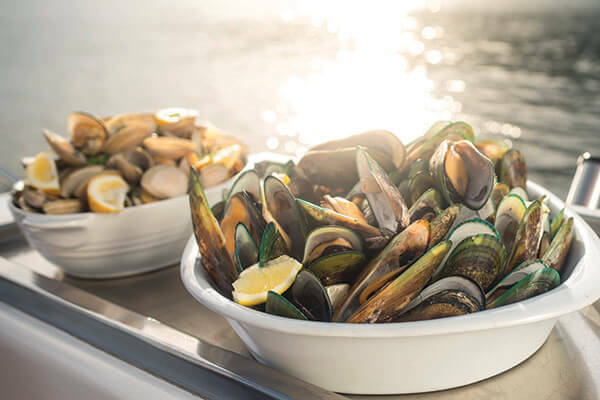 You can get these mussels pretty much anywhere in New Zealand all year around, but it’s best to have them at the source around Marlborough, where 80 percent of New Zealand's mussel production is based. The West Coast of the South Island is known for these tiny fish, caught in nets during springtime. Whitebait is used primarily in fritters. Grown slowly in the cold and clean waters of Foveaux Strait. When in-season the oysters are distributed throughout New Zealand. 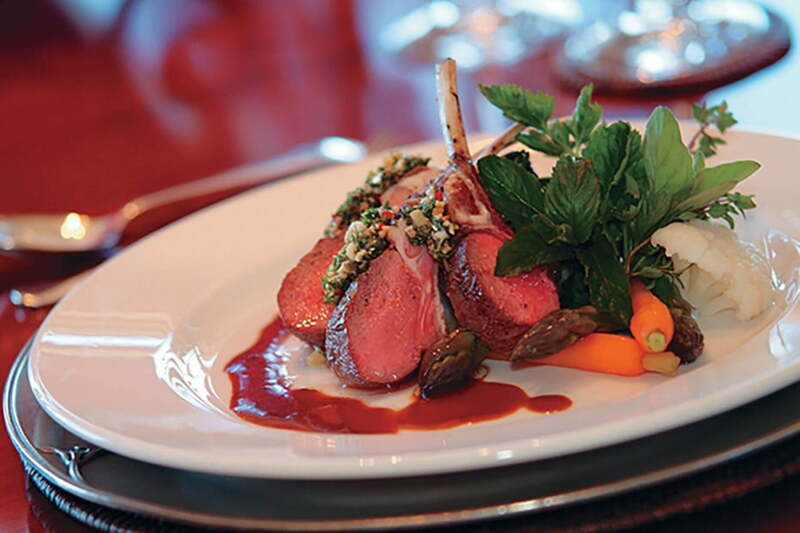 New Zealand lamb is held in high esteem throughout the world and is one of the country’s top export meats. Succulent and tender, roast lamb is a Kiwi favourite. Best enjoyed flavoured with rosemary and plenty of seasonal veggies, roast lamb is a meal that is sure to impress. You’ll find it on the menu of our best restaurants nationwide. Fly non-stop from Taipei to Auckland & connect to 20 NZ destinations! Best enjoyed while sitting on a New Zealand beach on a balmy summer evening, Fish and Chips is a bonafide Kiwi favourite. Freshly caught snapper, terakihi and hoki are the most common types of fish used, which is then battered and deep-fried. Scallops and squid rings are also often included. Fish and Chips are available pretty much everywhere in New Zealand, and are delicious when accompanied with a beer or two. Kiwis are passionate about good ice cream - Hokey Pokey (creamy vanilla ice cream with pieces of honeycomb) anyone? New Zealanders also love their Pavlova. A meringue-type dessert that’s topped with cream and fresh fruit, Pavlova is a permanent fixture at many family Christmases. For something a bit healthier, you can’t go past the delicious kiwifruit – small and furry and green on the inside, it is best eaten by scooping the sweet, juicy flesh out of the middle. If you’re after award-winning wines and cheeses, look no further than New Zealand. Enjoy full-bodied Pinot Noir, light and fruity Sauvignon Blanc and mouth-filling Merlot. New Zealand also has several world-class cheese making companies, famous for blue cheese, delicious vintages and creamy soft cheeses. Villa Maria, Kapiti, Whitestone and Puhoi Valley are some of the top brands to look out for. 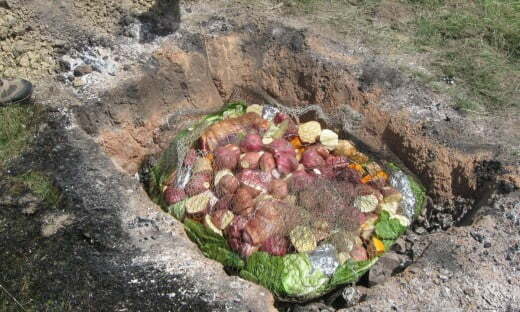 The Hāngī was the most widely used method of cooking by Māori for more than 2000 years. Now saved mainly for special occasions, foods cooked in a Hāngī include chicken, pork and mutton, as well as various vegetables. One of the best places to enjoy this cultural feast is Rotorua, in the central North Island. Fly non-stop from Taipei to Auckland & connect to over 20 NZ destinations!